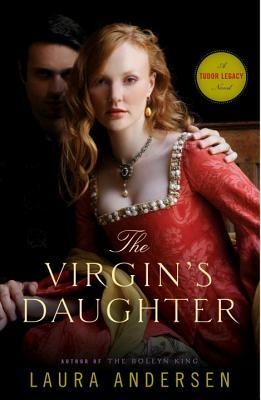 Perfect for fans of Philippa Gregory and Alison Weir, The Virgin’s Daughter is the first book in a captivating new saga about the next generation of Tudor royals, which poses the thrilling question: What if Elizabeth I, the celebrated Virgin Queen, gave birth to a legitimate heir? Since the death of her brother, William, Elizabeth I has ruled England. She’s made the necessary alliances, married Philip of Spain, and produced a successor: her only daughter, Anne Isabella, Princess of Wales. Elizabeth knows that her beloved Anabel will be a political pawn across Europe unless she can convince Philip to grant her a divorce, freeing him to remarry and give Spain its own heir. But the enemies of England have even greater plans for the princess, a plot that will put Anabel’s very life and the security of the nation in peril. Only those closest to Elizabeth—her longtime confidante Minuette, her advisor and friend Dominic, and the couple’s grown children—can be trusted to carry forth a most delicate and dangerous mission. Yet, all of the queen’s maneuverings may ultimately prove her undoing. Laura Andersen is married with four children, and possesses a constant sense of having forgotten something important. She has a BA in English (with an emphasis in British history), which she puts to use by reading everything she can lay her hands on.